We're in the middle of our integrated civil rights unit. Everything we're doing in Language Arts & Social Studies revolves around this time period. Thus, we're learning the history, reading historical fiction, and writing historical fiction. I absolutely love our books in this unit! We have some fantastic mentor texts that we use for this unit. So I had to link up with Amanda & Stacia to share a Must Read Mentor Text that I used to teach historical fiction writing! 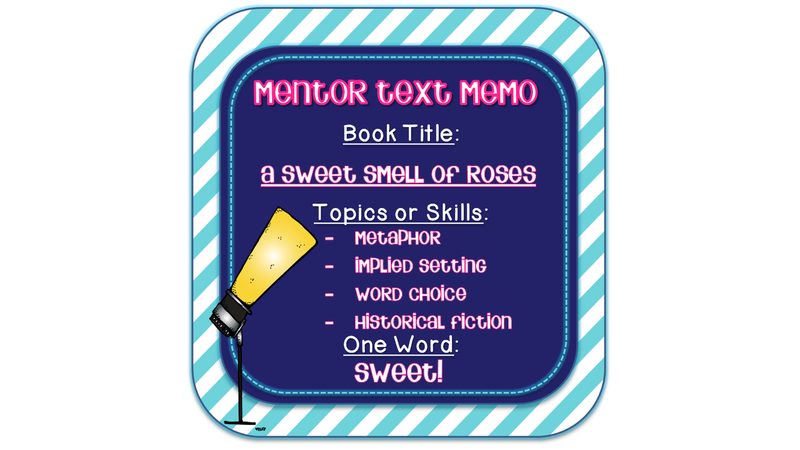 One of my favorites for teaching historical fiction writing is A Sweet Smell of Roses by Angela Johnson. The book centers around two sisters who sneak out early one morning to join up with a march. 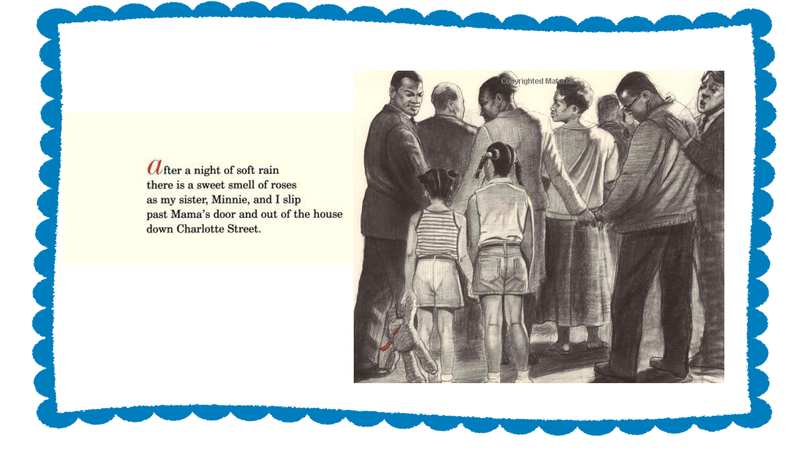 The book hints at the roles of children during the civil rights movement. It's written in more verse than prose and has beautiful illustrations. This is a book to use a model for historical fiction writing. There is great word choice and a clear story arch. There is also tons of author's craft. The entire book focus on the "sweet smell of roses" as a metaphor for the victories of the civil rights protests. Last year, I used this book to teach mood, implied setting, and metaphors/symbolism. It's a short read that packs a punch! Here's two pieces of historical fiction from my students last year...using imagery, symbolism, or metaphor in their writings. Our final product was a children's book about the civil rights movement. This one uses "red, white, and blue" imagery. 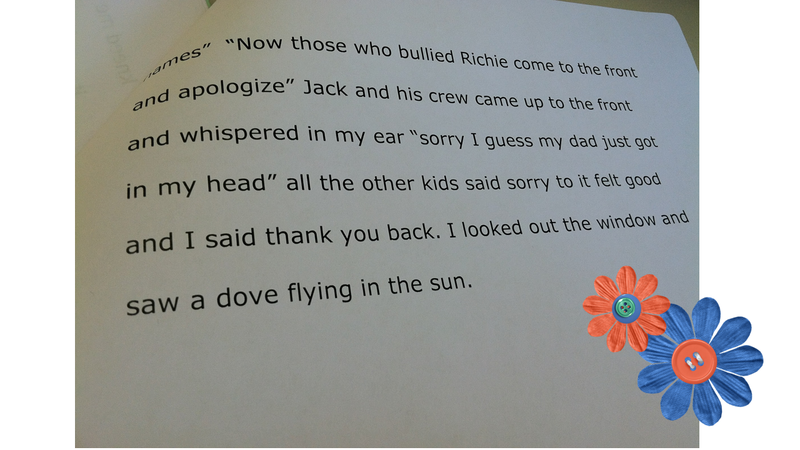 This piece has a dove flying off into the sun at the end! Pretty good symbolism for one of my struggling writers! Can't wait to check out everyone's fabulous Language Arts mentor texts this week! Don't forget to link up with the gals at Collaboration Cuties with your favorite mentor texts! This looks like a great book! I have never seen it! I love historical fiction so I will definitely have to check it out!!! 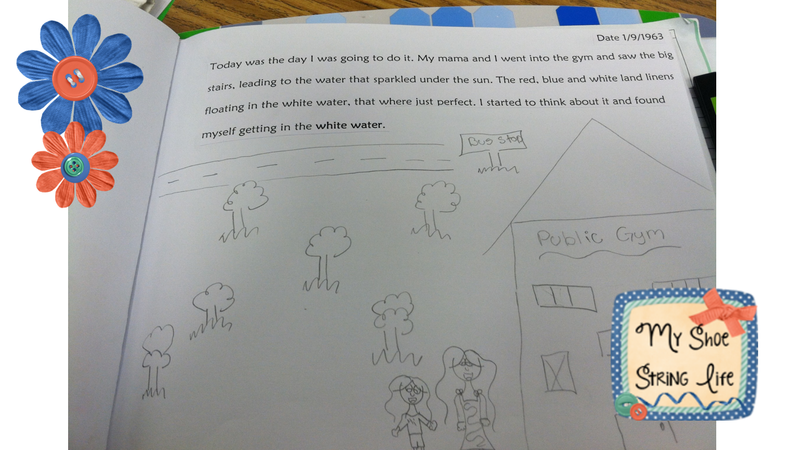 It looks like a beautiful story and I love how your students wrote their own page for a class book! Thanks so much for linking up!! I am always looking for good historical fiction mentor texts. Thank you so much for sharing this book. It looks great! I love the students writing samples you showed. Hey friends to know more in detail about xbox and its offers visit this website xbox 360 gold codes, Visit today to avail 360 gold codes for free. I was amazed by you. the way you create a website very thorough and good. This is very very impressive.Thanks for sharing with us.